Databricks, the company founded by the original team behind the Apache Spark big data analytics engine, today announced that it has raised a $250 million Series E round led by Andreessen Horowitz. Coatue Management, Green Bay Ventures, Microsoft and NEA, also participated in this round, which brings the company’s total funding to $498.5 million. Microsoft’s involvement here is probably a bit of a surprise, but it’s worth noting that it also worked with Databricks on the launch of Azure Databricks as a first-party service on the platform, something that’s still a rarity in the Azure cloud. As Databricks also today announced, its annual recurring revenue now exceeds $100 million. The company didn’t share whether it’s cash flow-positive at this point, but Databricks CEO and co-founder Ali Ghodsi shared that the company’s valuation is now $2.75 billion. Current customers, which the company says number around 2,000, include the likes of Nielsen, Hotels.com, Overstock, Bechtel, Shell and HP. 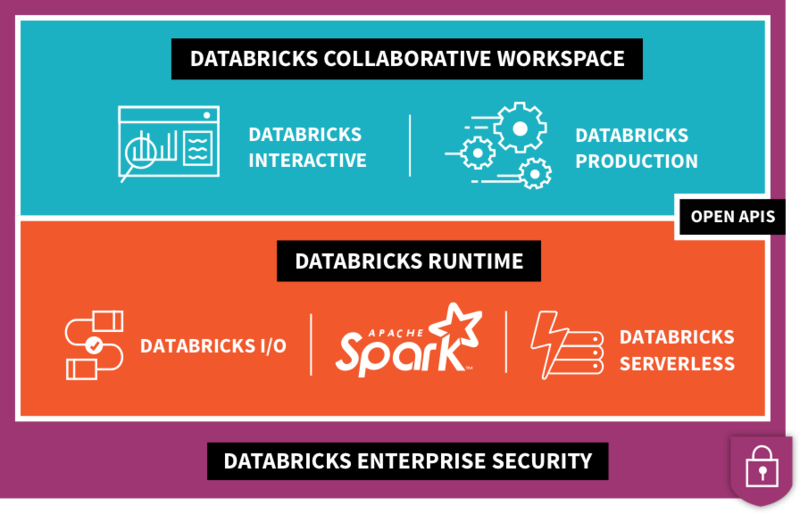 While Databricks is obviously known for its contributions to Apache Spark, the company itself monetizes that work by offering its Unified Analytics platform on top of it. This platform allows enterprises to build their data pipelines across data storage systems and prepare data sets for data scientists and engineers. To do this, Databricks offers shared notebooks and tools for building, managing and monitoring data pipelines, and then uses that data to build machine learning models, for example. Indeed, training and deploying these models is one of the company’s focus areas these days, which makes sense, given that this is one of the main use cases for big data, after all. On top of that, Databricks also offers a fully managed service for hosting all of these tools. Ghodsi told me that Horowitz was also instrumental in getting the company to re-focus on growth. The company was already growing fast, of course, but Horowitz asked him why Databricks wasn’t growing faster. Unsurprisingly, given that it’s an enterprise company, that means aggressively hiring a larger sales force — and that’s costly. Hence the company’s need to raise at this point. As Ghodsi told me, one of the areas the company wants to focus on is the Asia Pacific region, where overall cloud usage is growing fast. The other area the company is focusing on is support for more verticals like mass media and entertainment, federal agencies and fintech firms, which also comes with its own cost, given that the experts there don’t come cheap. Ghodsi likes to call this “boring AI,” since it’s not as exciting as self-driving cars. In his view, though, the enterprise companies that don’t start using machine learning now will inevitably be left behind in the long run. “If you don’t get there, there’ll be no place for you in the next 20 years,” he said. Engineering, of course, will also get a chunk of this new funding, with an emphasis on relatively new products like MLFlow and Delta, two tools Databricks recently developed and that make it easier to manage the life cycle of machine learning models and build the necessary data pipelines to feed them. 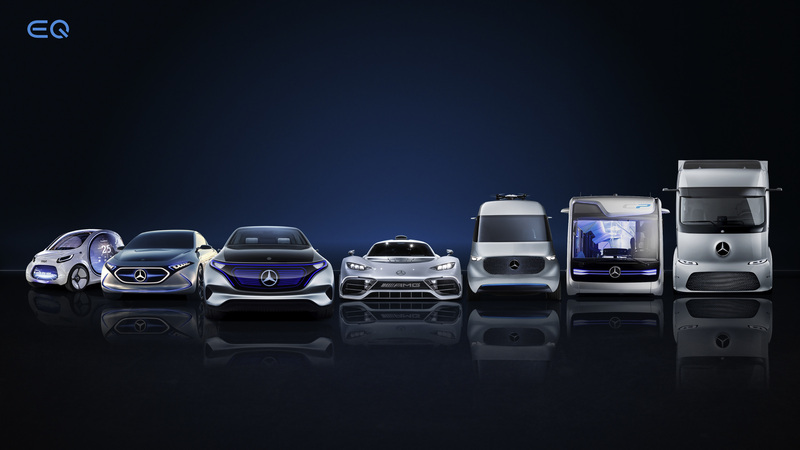 And the company just raised $101 million in a round led by Iconiq Capital, with Alven Capital, Battery Ventures, Dawn Capital and FirstMark Capital also participating. With today’s funding round, the company plans to double its staff. The company currently works with 200 people in New York, Paris and London. 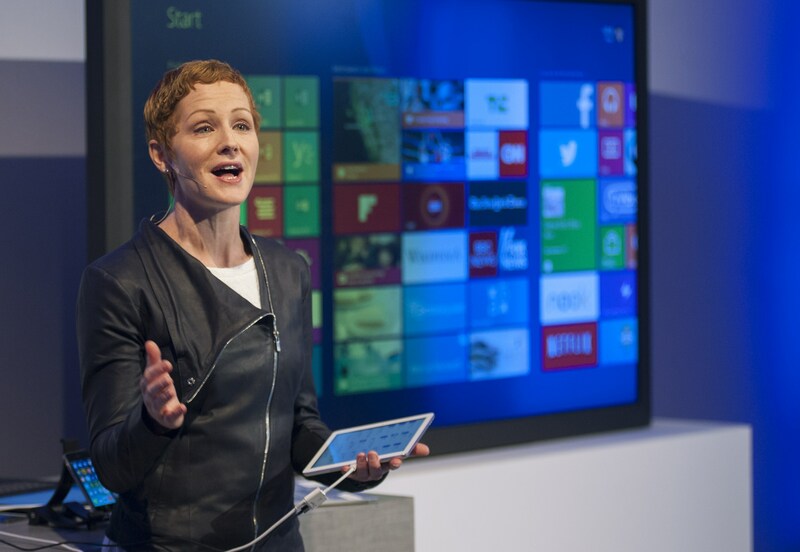 It plans to open offices in Singapore and Sydney, as well. AtScale, the startup that helps companies move massive amounts of data into business intelligence and analytics tools, announced a $50 million Series D round today. Morgan Stanley led the round, with previous investors Storm Ventures and Atlantic Bridge joining in. New investor Wells Fargo also participated. The funding comes almost exactly a year after the company announced its $25 million Series C. Today’s funding brings the total amount raised to $120 million. Bringing on an institutional investor like Morgan Stanley is often a signal that the company has reached the stage where it is at least beginning to think about the possibility of going public at some point in the future. AtScale CEO Chris Lynch acknowledged such a connection without making any broad commitment (as you would expect). “We are not close to being IPO-ready, but that was a future consideration in selecting Morgan Stanley,” Lynch told TechCrunch. What the company does is help take big data and move it into tools where customers can make better use of it. AtScale co-founder Dave Mariani used to be at Yahoo where he helped pioneer the use of big data in the 2009/2010 timeframe. Unfortunately, systems at the time couldn’t deal with the volume of data — and that is still a problem, one that AtScale says it is designed to solve. “We take a bunch of data silos and put a semantic layer across the data platforms and expose them in a consistent way,” Mariani told TechCrunch last year at the time of the Series C round. This allows a company to get a big picture view of their data, rather than consuming it in smaller chunks. AtScale reported a banner year, bringing on 50 new customers across their target verticals of retail, financial services, advertising and digital sales. These include Rakuten, Dell Technologies, TD Bank and Toyota. What’s more, the company stretched out this year, taking advantage of the last funding round to expand more into international markets in Europe and Asia. The company was founded in 2013 and is based in San Mateo, California. Fivetran, a startup that builds automated data pipelines between data repositories and cloud data warehouses and analytics tools, announced a $15 million Series A investment led by Matrix Partners. Fivetran helps move data from source repositories like Salesforce and NetSuite to data warehouses like Snowflake or analytics tools like Looker. Company CEO and co-founder George Fraser says the automation is the key differentiator here between his company and competitors like Informatica and SnapLogic. “What makes Fivetran different is that it’s an automated data pipeline to basically connect all your sources. You can access your data warehouse, and all of the data just appears and gets kept updated automatically,” Fraser explained. While he acknowledges that there is a great deal of complexity behind the scenes to drive that automation, he stresses that his company is hiding that complexity from the customer. The company launched out of Y Combinator in 2012, and other than $4 million in seed funding along the way, it has relied solely on revenue up until now. That’s a rather refreshing approach to running an enterprise startup, which typically requires piles of cash to build out sales and marketing organizations to compete with the big guys they are trying to unseat. One of the key reasons they’ve been able to take this approach has been the company’s partner strategy. Having the ability to get data into another company’s solution with a minimum of fuss and expense has attracted data-hungry applications. In addition to the previously mentioned Snowflake and Looker, the company counts Google BigQuery, Microsoft Azure, Amazon Redshift, Tableau, Periscope Data, Salesforce, NetSuite and PostgreSQL as partners. Ilya Sukhar, general partner at Matrix Partners, who will be joining the Fivetran board under the terms of deal sees a lot of potential here. “We’ve gone from companies talking about the move to the cloud to preparing to execute their plans, and the most sophisticated are making Fivetran, along with cloud data warehouses and modern analysis tools, the backbone of their analytical infrastructure,” Sukhar said in a statement. They currently have 100 employees spread out across four offices in Oakland, Denver, Bangalore and Dublin. They boast 500 customers using their product including Square, WeWork, Vice Media and Lime Scooters, among others. In my previous blog post, I created and tested MySQL 8.0 with 40 million tables (that was a real case study). The One Billion Tables project is not a real world scenario, however. I was challenged by Billion Tables Project (BTP) in PostgreSQL, and decided to repeat it with MySQL, creating 1 billion InnoDB tables. 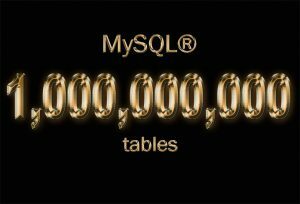 As an aside: I think MySQL 8.0 is the first MySQL version where creating 1 billion InnoDB tables is even practically possible. This is usually the big issue with databases that create a file per table. With MySQL 8.0 we can create a shared tablespace and “assign” a table to it. I created a tablespace per database, and created 1000 tables in each database. Created tables in parallel: as the mutex contention bug in MySQL 8.0 has been fixed, creating tables in parallel works fine. So we created ~650 tables per second. The average, above, is per 10 seconds. I have created more than 1 billion real InnoDB tables with indexes in MySQL 8.0, just for fun, and it worked. It took ~2 weeks to create. ZFS compression together with NVMe cards makes it reasonably cheap to do, for example, by using i3.4xlarge or i3.8xlarge instances on AWS.